A prominent Italian rabbi has denounced what he sees as a growing Catholic undercurrent “of resentment, intolerance, and annoyance” toward Judaism, exacerbated by the Pope’s “careless” repetition of anti-Jewish stereotypes. 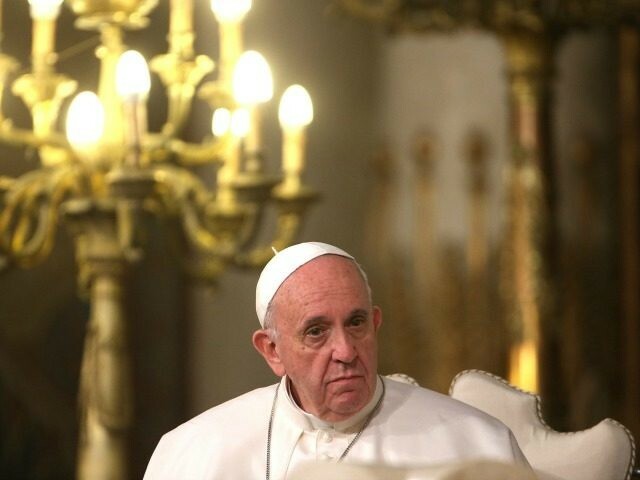 In an open letter, Rabbi Giuseppe Laras, the former chief rabbi of Milan, expressed his dismay that despite important advances in Jewish-Catholic relations, the Pope seems to repudiate them with his use of anti-Jewish rhetoric in his homilies. As one example, the rabbi referenced the Pope’s preaching on the law of “an eye for an eye,” which, he said, the pontiff recently evoked “carelessly and mistakenly,” leading to a misrepresentation of the meaning of the law for Judaism. Rabbi Laras is not the first Jewish leader to voice his displeasure over the pope’s frequent references to the “hypocrisy” of the Jewish Pharisees and the “legalism” of the Jewish doctors of the law. Already in 2015, the chief rabbi of Rome, Riccardo di Segni, said that he had taken his complaints about the Pope’s preaching directly to the pontiff himself, explaining exactly what he found offensive about his homilies. These “disquieting facts” include “a substantial distrust of the Bible and a subsequent minimization of the Jewish biblical roots of Christianity,” which, he said, seemed to indicate a new form of the ancient Christian heresy of Marcionism, which held that the God of the Old Testament was fundamentally different from the God worshiped by Christians. These and other troubling signs were made very apparent by a recently published event guide for the upcoming fall conference of the Italian Biblical Association (ABI), Rabbi Laras contended. “I am, and this is a euphemism, very indignant and embittered!” he said. Some Vatican observers have suggested that the Pope’s remarks that have angered the Jewish community stem not so much from any anti-Judaism on the Pope’s part as from his “carelessness in speech” allied to his dislike of doctrinal precision. “He is possessed of so negative an attitude toward theology that he fails to frame his comments with the requisite precision,” wrote Father Peter Stravinskas, author of The Catholic Church and the Bible, in a recent essay. At the core of the issues that have so distressed Rabbi Laras, he contends, is the Pope’s deep dislike of doctrine, theology and Canon Law. “Francis rails against law because of his predisposition against canon law and canon lawyers – as well as moral theologians who represent the consistent trajectory of Catholic morality,” he wrote. As a result, the Pope’s “uninformed and tendentious statements risk setting Catholic-Jewish relations back decades, if not centuries,” Stravinskas claimed.